Find out how social listening can help you make smarter decisions in your marketing campaigns. Executive insights including trends, hot topics, social and geographical reach & sentiment analysis. In the office or on-the-go, the PublicSonar Marketing Campaign Monitor provides you powerful tools to help you track the success of your marketing campaigns. Track your success, anytime, anywhere. Use social media to detect business-changing insights from social conversations. Discover real time what people are saying about your campaign. The PublicSonar Marketing Campaign Monitor gives you instant access to mentions about your campaign across billions of interactions on Twitter, Instagram, Youtube and Facebook. 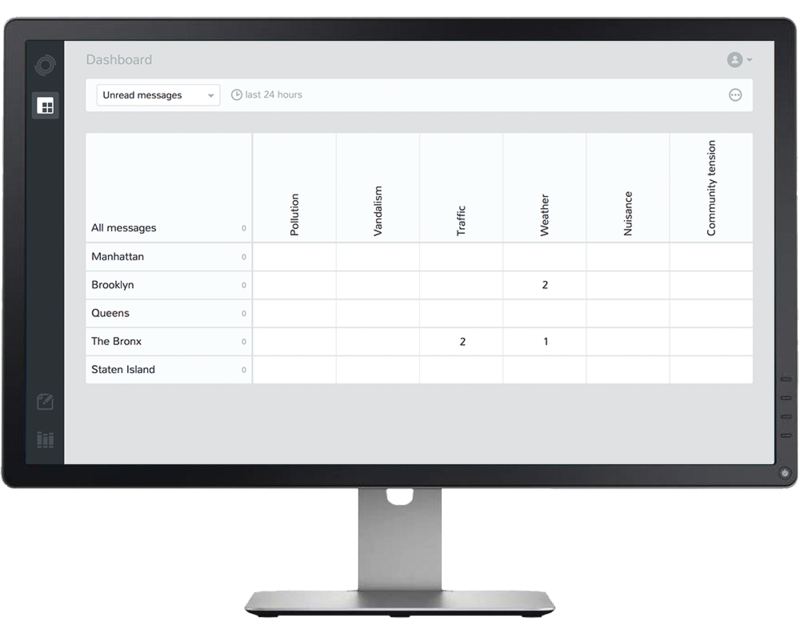 In your real time campaign dashboard you will see all the comments made about your campaign emerging. You will receive automated alerts when thresholds are exceeded. Information is categorized based on the theme relevant to your campaign. This will save you time processing thousands of online posts, when only a small part is truly relevant. React and engage quickly. Follow-up on positive comments from your ambassadors, or deal with negative comments before the story gets ahead of you.